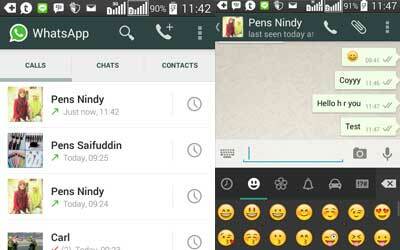 WhatsApp Messenger + Calling 2.12.233 APK is available. Download it for better performance and it will help you to save the binary file. The new feature “WhatsApp Calling” is available in this version. Call feature is available by default now so no invites needed to get this feature. Facebook’s decision to buy this messenger make many people amazed. The price is fairly fantastic. Google Drive Backup and fix bugs. The app is better than previous version. It has great performance now.